Back in November of 2015, when I was starting to adjust to my life as a freshman in college, my mom eagerly sent me a Kakaotalk message with a link to a summer program in Korea. I recognized the name of the university as my mom’s alma mater, Ewha Womans University, and proceeded to explore the website for the Ewha International Co-Ed Summer College. The first thing that caught my eye was the incredible variety of courses offered about Korean culture. I had always wanted to learn about Korean history, art, literature, music, and more. And since I am a linguistics major, the class on Korean linguistics jumped out at me. I knew right then that I wanted to apply for this program and spend part of my summer in my parents’ home country. Fast forward nine months, and I was walking with my luggage bags across Ewha’s beautiful campus, where I would make friendships that would last beyond the duration of the program and where I would learn so much more about Korean culture than I ever could in the US. The professors for my two classes, Modern History of Korea and Korean Language in Contemporary Pop Culture, were fantastic and challenged us to think about both Korean culture and our own cultures in ways that we may not have thought about before. The perspectives from which they taught were unique from what I was used to in the US, and I was so grateful to have had this opportunity to take classes in another country. 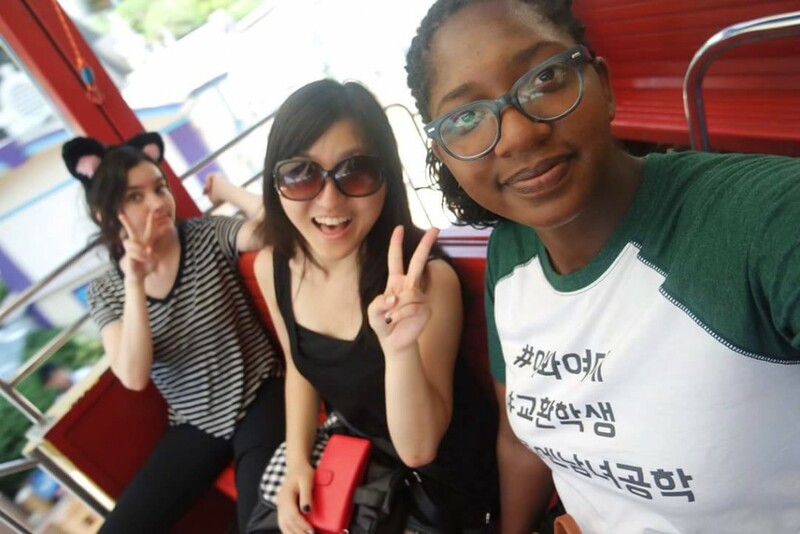 The program also incorporated unique field trips every weekend for students to experience Korean culture. They ranged from visiting places with heavy historical significance such as the Demilitarized Zone to making kimchi at a kimchi museum to straight up enjoying the popular theme park, Everland. Two trips in particular were eye-opening experiences for me because I was able to see firsthand the ramifications of major events that shaped Korea’s history. These were the visits to the DMZ and the House of Sharing. At the DMZ, I found myself reflecting on how the North & South divide has impacted millions of lives—lives that were lost, families that were separated, and people who could not experience the everyday freedoms that we take for granted. 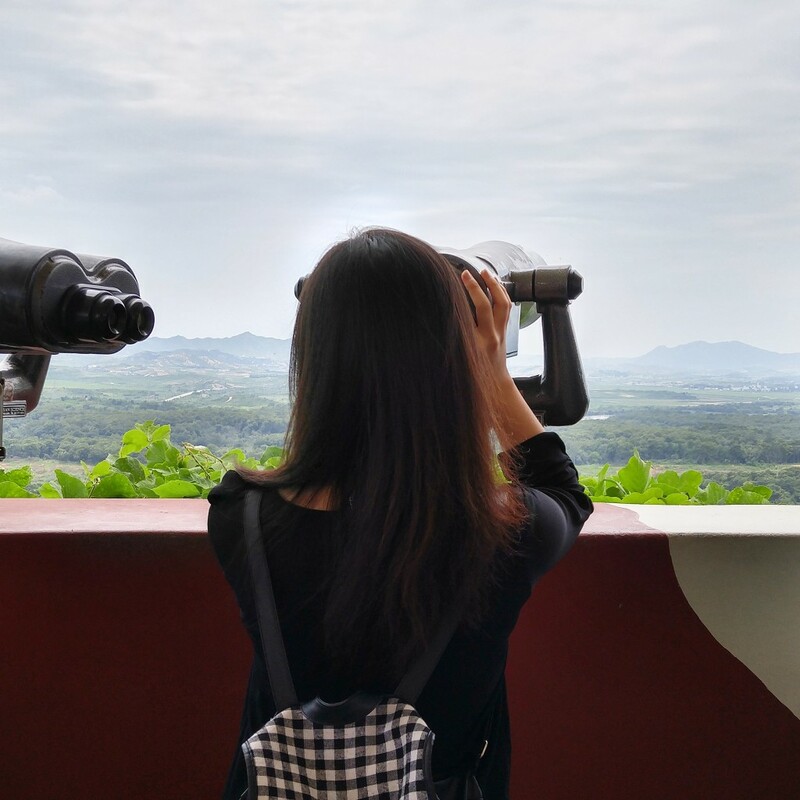 Through the binoculars at the Odusan Unification Observatory, I saw a man walking across a field in North Korea and was struck by the fact that these people are so geographically close and have a shared heritage with South Koreans, yet are so far and unreachable. The House of Sharing was just as, if not more, emotionally heavy as the DMZ. I had always heard about the atrocities that the Japanese “Comfort Women” victims from Korea and throughout Asia had experienced—and which they are still seeking redress for—but seeing some of these women living together and telling us to work hard never to let such horrors happen in the world again brought me to tears. Another piece of Korean history came to life for me. What wraps up my memories of Seoul and Ewha are people that I met and befriended. Spending hours studying together, going out on late night food runs, shopping and trying out street food, visiting museums and palaces, and hunting down puppy cafes at 11pm with them made my time in Korea unforgettable. Ewha’s location, being so close to Sinchon, is perfect for students to experience Korea’s modern culture and spend time with friends. I’m excited to be visiting some of the friends I made at Ewha on their colleges in the States, and I want to thank Ewha for giving me the opportunity meet such great people. During this visit to Korea, I was able to both learn the historical pieces of Korea and experience the modern side of Korea. 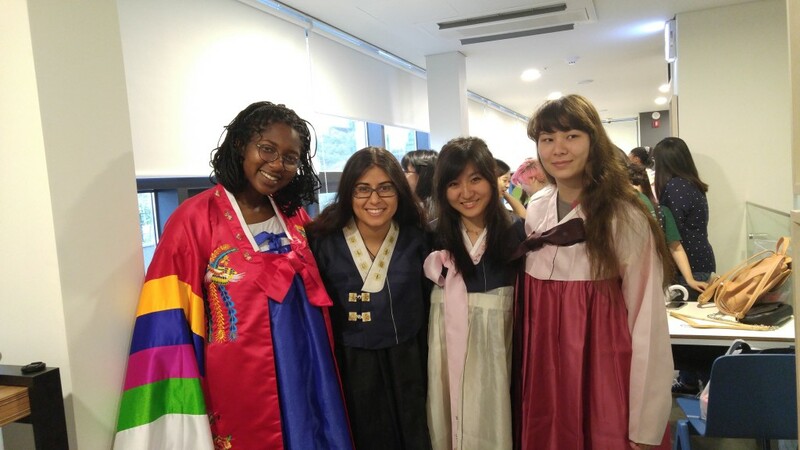 Ewha’s program provides students with the opportunity to learn about Korea in so many unique ways, and I thank Ms. Mimi Ahn, the professors, PEACE buddies, and fellow students for making the program what it is. 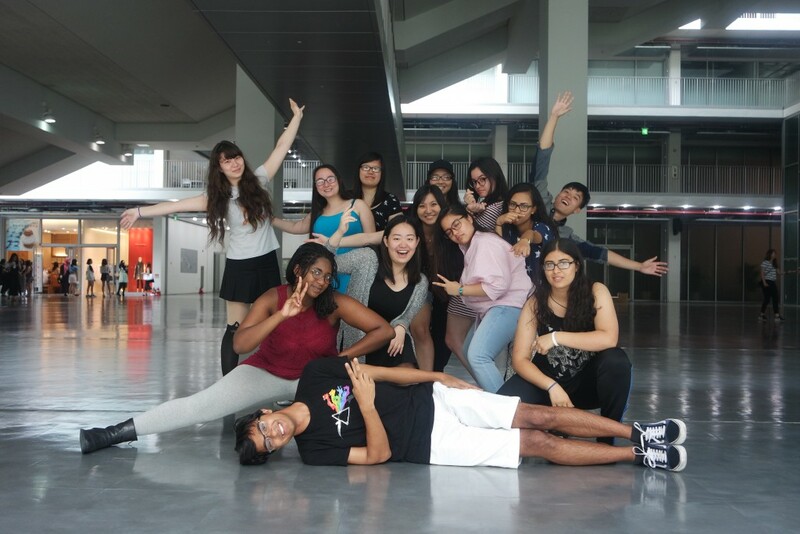 I’ll never forget my month at Ewha and the priceless things I learned there. Thank you again, Ewha!